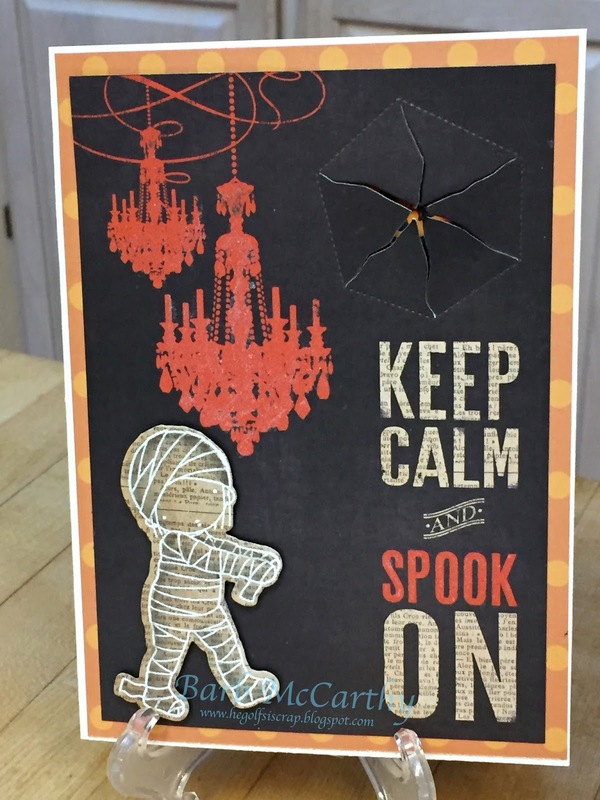 This Spooky card is for my granddaughter. I have added a couple of surprises for her! 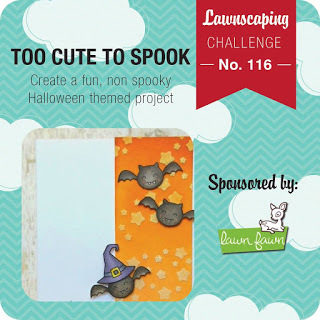 In the upper right-hand corner is a Peek-A-Boo die with a Jack O'Lantern and the word BOO! 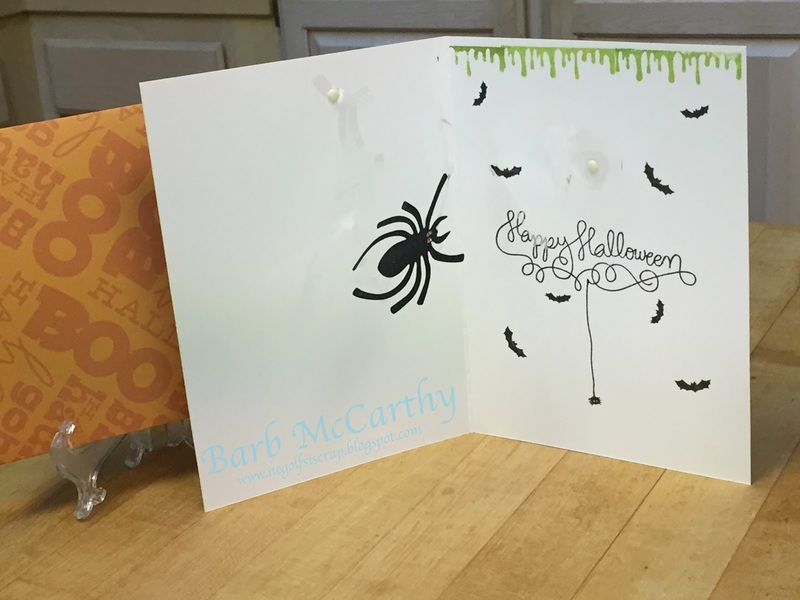 Inside the card I cut a spider web out of acetate so when you open the card the red-eyed spider pops up and wiggles! This is ADORABLE!!! 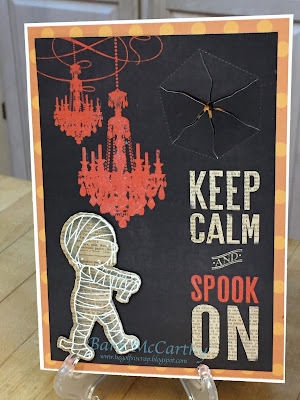 I LOVE the way you stamped the mummy on printed paper and the sentiment design rocks. Wonderful design.